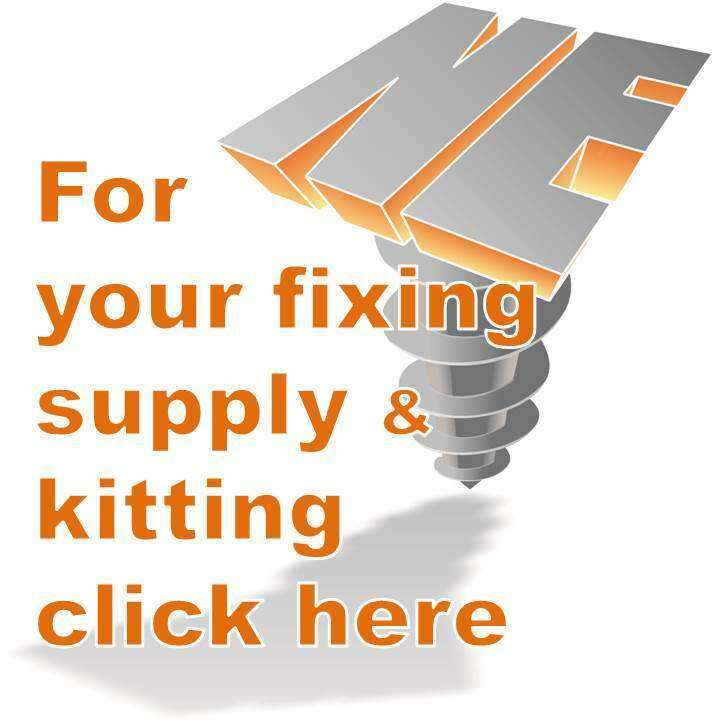 Furniture fixings and fastener ranges extend from the traditional wood screw through to bespoke furniture fixings and fasteners, everything you need available online and from the warehouse. 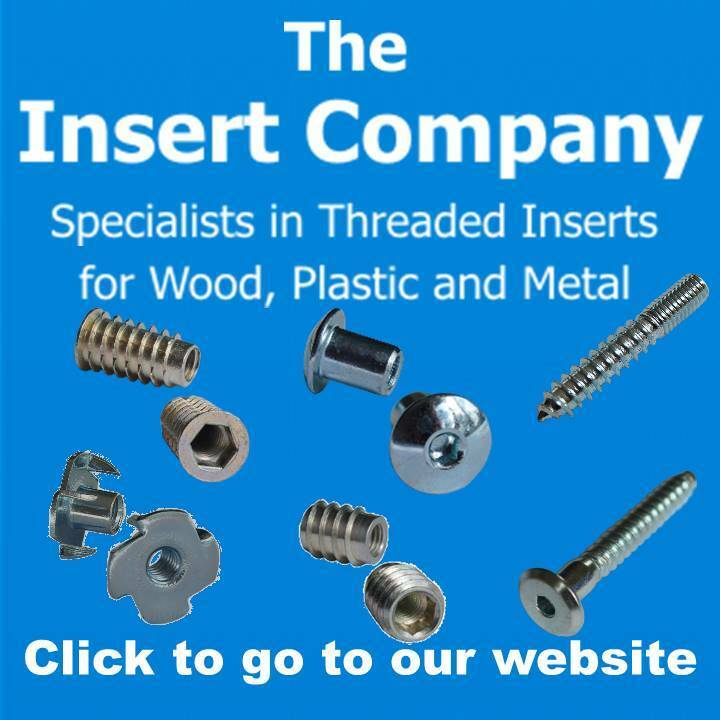 Click on the logos to go directly to furniture fastener specialists. Woodscrews are generally used to join two pieces of wood together in the production of furniture and the wood construction industry in roofs and doors. The screw is commonly made of steel with a countersunk or raised head and with a slotted, Phillips® Pozi® or Robertson square drive. The screw thread is tapered and in many instances has a plain shank. The materials used to manufacture wood screws are primarily steel though brass, and aluminium are also available. The protective coating on most screws is electro zinc plate, and other protective coatings are also available. Screw threads on a wood screw are intended to bite into the wall of a pre-drilled hole in the wood. If a wood screw is assembled without pre-drilling a pilot hole, the wood will usually crack, and the screw will not hold as well as a screw driven into a pilot hole. There are specialist wood screws available that are designed to pre-drill their own hole or have a cutting thread design to minimise cracking. Dowel nuts form part of many woodworking joints, being used as an internal reinforcement, these Barrel nuts are considered fasteners within the joint system, and have a parallel thread requiring a matings parallel threaded screw. 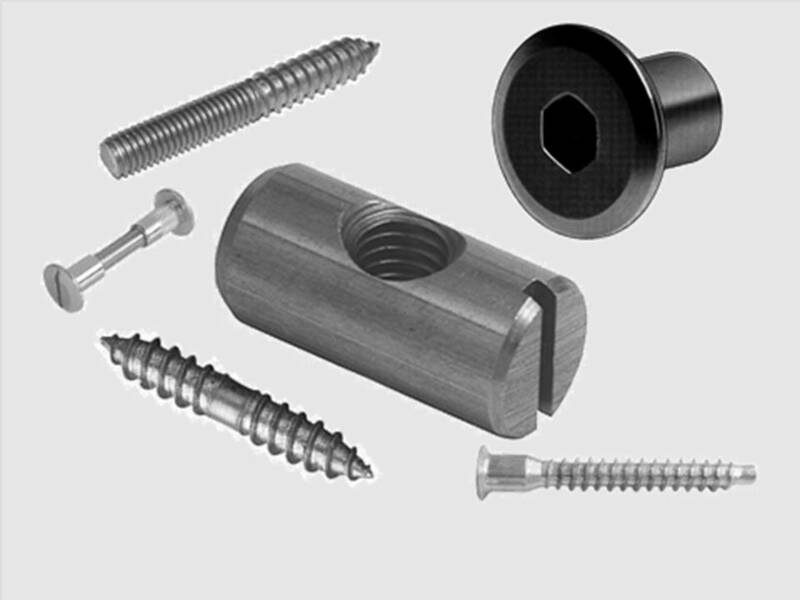 Flat pack furniture frequently uses cam dowels that lock by rotating a cam; also confirmat screws that have their own shank and thread profile; both of these fasteners are unique to the furniture industry.